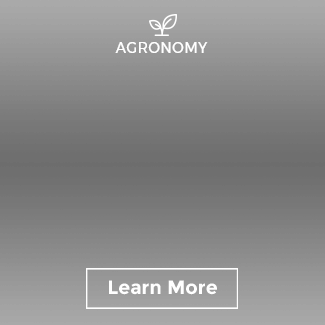 In our agronomy program, we partner with our growers to share the best practices in farming that help to maximize land productivity and boost local economies. Many of these relationships span decades, as our growers are integrated partners in our supply chain. These long-term collaborative relationships have led to crop and land efficiency. But did you know agriculture is the biggest driver of deforestation? 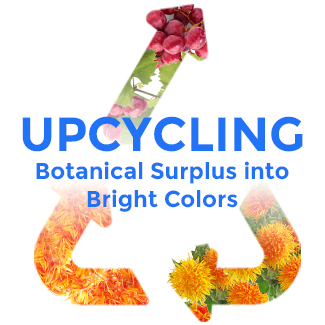 To reduce our environmental footprint, we maximize our partner farmers’ land space by intercropping our color crops within their existing food crops. By doing this, we are able to increase yield per unit area and create supplementary revenue for our growers. This type of sustainable farming practice does not displace food crops and also increases productivity without damaging biodiversity from cutting down new woodland or forests for farming space. 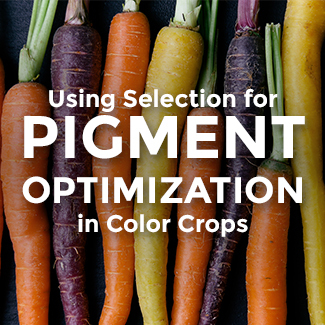 In some parts of the world, Sensient is planting color crops in marginal agricultural lands that are generally inhospitable to most crops, with little potential for profit due to environmental conditions unfavorable to crop growth. For instance, one growing area is extremely mountainous, hard to access, and challenging to grow anything other than low maintenance coconut trees that harvest every 45-60 days. However, our team of agronomists have found this particular marginal land to be quite ideal for annatto production and suitable for intercropping. 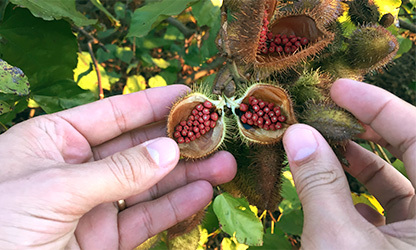 Annatto is another low-maintenance crop that is harvested every nine months three years after planting, so it doesn’t really require additional labor and farm input. It’s a win-win, especially since as a companion crop to the coconuts, the annatto trees give these farmers a supplementary income. Intercropping not only brings greater value to a farm, but it also generates positive ecological footprints. By filling dead spaces and gaps, intercrops help prevent and control the growth of undesirable weeds. The environment’s nutrition then goes to the intercrops rather than the weeds. Intercrops also act as “cover crops” or plants that blanket bare spaces, with the hopes of deep root development to hold the soil in place and prevent erosion. With an intercropping farm strategy, the diversity of crops also prevents pests and diseases from spreading throughout a field. Thus, it’s very important to ensure the main crop and intercrops are not attracted to the same pests and diseases. Adequate spacing between crops also needs to be taken into consideration to allow for crop management activities including cultivation, fertilization, weeding, pruning, and harvesting. However, mechanization could be a limitation in intercropping systems, which is just fine in our color farms where there is an abundance of labor. 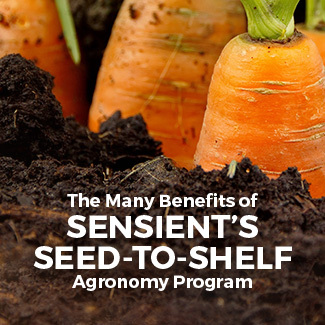 Sensient is happy to create new jobs in local farming communities across the globe. Intercropping maximizes land for its full potential with minimum input. 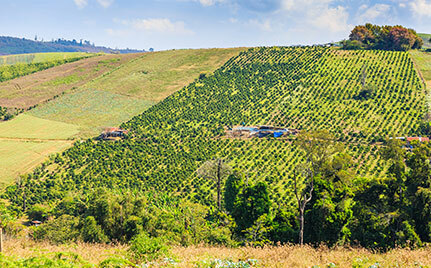 Instead of farmers deforesting lands to expand agricultural production, they can increase their productivity and local income through sustainable farming practices like intercropping or relay cropping.